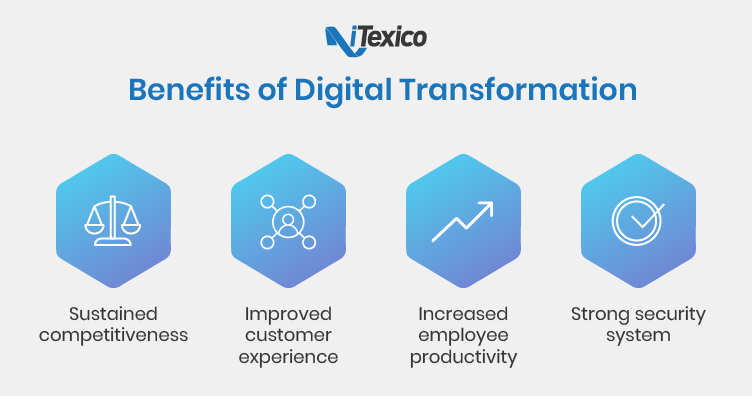 Why digital transformation is important and how businesses are leveraging digital business transformation using outsourced nearshoring, we must first define digital transformation. According to a PNC.com report on digital trends, just last year, 70 percent of U.S. chief executives made substantial investments in new technologies designed to make their businesses or products more competitive. As a result, in 2018, 40 percent of market-leading businesses -- those in the top 20 of every industry -- are expected to withstand a disruption to their business due to new digital innovation on the part of their competition.